As soon as I have details from the photo editor, I’ll be posting here on the blog about how to submit photos, what types of photos we’re looking for, and so forth. Please stay tuned for that, because no matter how good my manuscript may (or may not) be, you’ll like the book a lot better if it has great pictures. Just kidding. There are no mentions of stubbed toes in the book. Well done Matt! The book is going to be great and I can’t wait for it to come out later this year. CONGRATULATIONS MATT!! I can’t wait to see it! Hey Matt – Congrats!!!! I can’t wait to read it. What an accomplishment! Nothing much to say I guess, just the same as all the rest: Congratulations on completing this major step of what will surely be one of the most appreciated U2 books. Congratulations Matt. I hope the editing process doesn’t get too hair raising. Looking forward to buying this when it comes out. Congrats on getting finished (sorta!). I can’t wait to see it and I’m hoping that you will maybe do a booksigning tour! I just came across this and I also want to say Congrats and am looking forward to to reading your book! The goal you’ve reached will mean so much to the community. 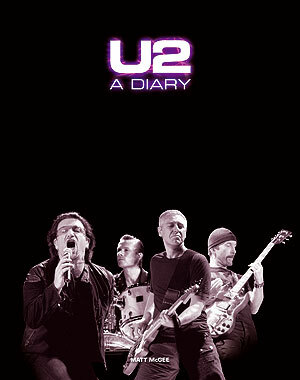 Cheers to u2diary, destined to outsell Neil and Michka! Great job. Maybe you can post what’s edited out as a follow up on here after the big publication date. The diary/on this date part of atu2 was always my favourite – look forward to the book. Darren – the “on this date” was one of my fave parts, too. It was my little baby, but the book really puts it to shame. I was embarrassed by how much was missing on the web site.